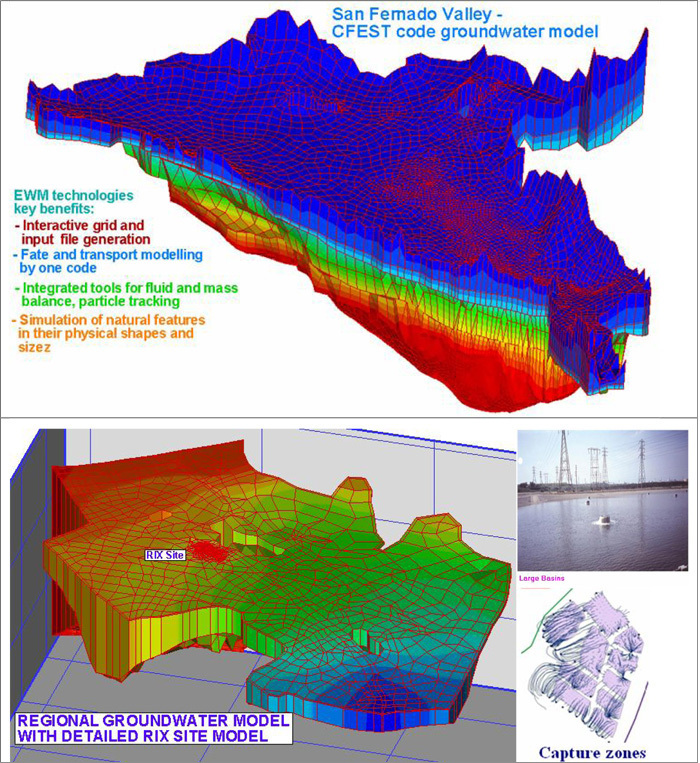 Simulate both confined and unconfined aquifer systems. Perform density-dependent flow and transport evaluations. Interfaced integrated grid generation capabilities. modeled in “natural shapes” without distortion. tools assist in easy-input file generation and results evaluation. 50 mgpd effluent disposal Riverside County, Ca. Copyright © 2019 by EWM Group. All Rights Reserved.